In other words, we strenuously disagree with our Calvinist brothers and sisters that God’s grace is irresistible, that God chooses who gets saved and who gets damned, and that Christ died only for the elect. While no one can have saving faith apart from the work of the Holy Spirit, the decision to say yes or no to God’s gift of eternal life is completely free and un-coerced. We don’t talk about Arminianism very much anymore, but Wesley did! He wrote and published a periodical called The Arminian and exchanged many harsh words with Calvinists in his day. Still, other smart Wesleyans, like Jerry Walls, are certainly free to be argumentative, as this 10-minute video clip makes clear. He takes on popular neo-reformed pastor John Piper. This appears to be part of a debate. This clip may give you a deeper appreciation of our differences. Enjoy! 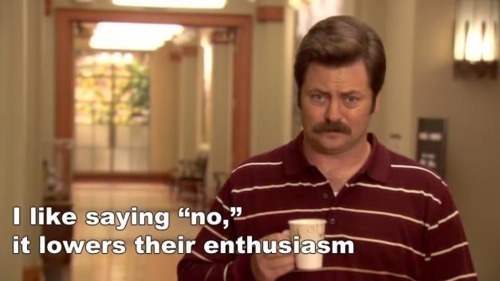 Ron Swanson, the funniest character on TV. In yesterday’s sermon on Romans 9:14-24, which often raises difficult questions of human freedom versus God’s sovereignty (not that it should if we understand Paul’s argument), I was tempted to quote my favorite character from my favorite TV show, Ron Swanson of Parks & Recreation. This kind of freedom may be beautiful from a political point of view, but it’s deadly from a Christian point of view. Left to our own devices, this is clearly the kind of freedom that we have. As Paul argues elsewhere in Romans (for instance, chapter 7) this kind of freedom enslaves us. So maybe our hyper-Calvinist friends bent on saying that human beings aren’t really free are not entirely wrong. Because libertarian freedom—freedom of choice—is not true freedom. True freedom, Christianly understood, is freedom to be what God created us to be. At times, however, this freedom may look a lot like slavery: a voluntary kind of slavery in which we submit our free wills to God, to be re-shaped and redirected. True freedom means choosing to be constrained. Think of how St. Paul himself can joyously proclaim our freedom in Christ and say, at the same time, that he is Christ’s slave. A couple of years ago, I went to a musical that the students at my wife’s school were putting on. One of the students, a 16 year old girl, played a violin solo—and it was quite good. I complimented her after the show. I said, “You didn’t sound screechy at all.” I didn’t mean to damn her with faint praise, but, let’s face it, 16 year-old violinists sometimes sound screechy. She told me that she aspires to be a professional violinist. She practices four hours a day, every day—and that she’s has been doing so for years! No wonder she didn’t sound screechy! In a way, this young woman has voluntarily made herself a slave to the violin—through time, discipline, hard work. She’s had to forego most activities and interests that her fellow teenagers enjoy. But consider what this voluntary slavery means: It means that she is free to do the thing she loves most—to play the most beautiful music in the world. Would even the most challenging piece of music stand in the way of her doing the thing that she most enjoys? Imagine the joy that this kind of freedom brings her. On a larger scale, this is the kind of freedom that God offers us through Christ. I want to know and experience this kind of freedom in all its fullness. In last week’s sermon, I discussed the understandable misgivings that we Christians sometimes feel about evangelism in relation to Jews. Years ago, the Southern Baptists got into hot water in the media (like, when aren’t Southern Baptists in hot water with the media?) because they had some explicit plan to evangelize the Jews. I had a friend at the time, who is Jewish, who was indignant, and he wasn’t alone. We Christians want to say (as we often do say) that Jews have one covenant with God and Christians have another, and so let’s just live and let live. This is bad Christian theology, and it flies in the face of everything Paul argues throughout Romans, especially in chapters 9-11. But if the only alternative to this bad theology were anti-Judaism or anti-Semitism, then I’d gladly live with bad theology! But this isn’t the only alternative. If we as the Church love and respect our Jewish friends, we should love them enough to want them to experience this amazing gift of life and love that God has given us in Christ; and we should respect them enough to bear witness to what we truly believe. Namely, that Jesus is Lord, not merely of the billion or so professing Christians living in the world, but of the entire cosmos. Of course, the idea that the Church can convince Jews today—after the tragic, sordid history of violence and arrogance that has too often characterized our relationship over the centuries—may seem daunting, even hopeless. But the fact remains, even today, that ethnic Jews do become Christians. They are in our churches, and God knows that we Gentile Christians—the “wild olive branch” grafted onto an ancient root—benefit from their witness. † N.T. Wright, “Romans” in The New Interpreter’s Bible, Vol X., ed. Leander Keck (Nashville: Abingdon, 2002), 697-698. As I’ve been wrestling this week with the dense and difficult Romans 9, specifically vv. 14-24, for the final week of our “Roman Road” series, I came upon this excerpt from a letter that C.S. Lewis wrote (from the C.S. Lewis Bible). Lewis doesn’t believe we can say as much as we might like about the challenging “inter-relation between God’s omnipotence and Man’s freedom.” But what he does say is brilliant as usual. The real inter-relation between God’s omnipotence and Man’s freedom is something we can’t find out. Looking at the Sheep & the Goats every man can be quite sure that every kind act he does will be accepted by Christ. Yet, equally, we all do feel sure that all the good in us comes from Grace. We have to leave it at that. I find the best plan is to take the Calvinist view of my own virtues and other people’s vices: and the other view of my own vices and other people’s virtues. But tho’ there is much to be puzzled about, there is nothing to be worried about. It is plain from Scripture that, in whatever sense the Pauline doctrine is true, it is not true in any sense which excludes its (apparent) opposite. † C.S. Lewis, “Who Is Chosen?” in The C.S. Lewis Bible, NRSV (New York: HarperOne, 2010), 1283. Part 11 of our sermon series on Paul’s letter to the Romans focuses on evangelism. Who needs it? The answer: everyone! The gospel, which literally means “good news,” is good news for the entire world. If we’ve experienced it as such, why would we not want to share it with others? Paul felt “great sadness and constant pain” as he thought about how his people—his flesh-and-blood fellow Jews—had rejected the gospel. Do we feel at least a little of that same sadness and pain as we consider “our people”—whoever they may be? Who do we know within our own circle of friends, family, co-workers, and fellow students who need to experience the gospel as good news in their life? What is the Holy Spirit calling us to do about it? When I was in high school 25 years ago, I fell in love with C.S. Lewis. Reading his books today, on the other side of 40—having experienced a lot of life in the intervening years—I find that my appreciation for him has only grown. As a teenager, I especially enjoyed the autobiography of his early life, Surprised by Joy. In it, he recounts his childhood faith, followed by his apostasy, atheism, and Christian conversion. Somewhere in the book—almost as an aside—he says that some of his former atheist allies were constantly sending him propaganda in order to “re-convert” him. He said he found their arguments tedious and disappointing—almost as if he were rooting for a better class of atheist! That stuck with me all these years. 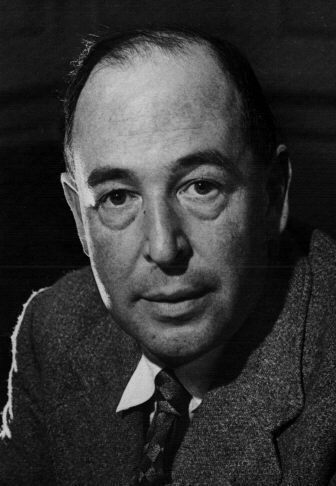 At the time I remember thinking how nice it would be to be like Lewis—so well-acquainted with all the atheist arguments and able to say of them, “They’re really not very good.” The truth is that for much of my early Christian life, I was afraid of atheism. It scared me to think that I could stumble upon some argument that would prove so compelling that I could abandon my faith. As if anyone comes to or rejects the Christian faith through argument! But I was pretty dumb back then. Among other things, I bought into the god-of-the-gaps theory: that science was fast encroaching on God’s territory, and unless someone found a knock-out argument against evolution, for example, then believing in God may prove untenable. It was either God or science: the town I lived in wasn’t big enough for the both of them. I’m sure that even the shallow philosophizing of Richard Dawkins would have been very intimidating to me. Happily, I’m a different person today. But I’ve been reminded of Lewis’s words about atheists recently. Why? Because I regularly read the Huffington Post’s “Christianity” section. As I’ve said before, I’m a fan. As far as I know, no other mainstream secular news site dedicates as much space to Christian thinkers, pastors, and writers. 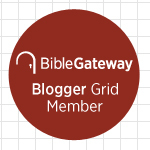 Blogging there as a Christian, however, must be a thankless job. I hope these people get paid well! Just read the comments section of any blog post—for example, this perfectly thoughtful and genial piece about God and suffering by Derek Flood. Peruse the comments section, and please tell me: Even if you disagree with Flood and don’t believe in God, what on earth are you getting so worked up about? Where does all this righteous indignation come from? It boggles the mind. Some of the heavy-handedness is no doubt the result of the wide-eyed college freshman taking his first philosophy course. It happens. I shudder to think of some of the arguments I used to get into at home on winter break. But as I examine the substance of the comments, such as it is, I see the same tired arguments, endlessly recycled. They are tedious… and disappointing. That’s what Lewis meant! I’m not so different from him! In tomorrow’s sermon over Romans 9:1-5, our focus is on evangelism. I’m going to be referring to this episode of Seinfeld, in which Elaine discovers that her boyfriend, David Puddy, is a Christian. He’s never mentioned it before. Worse, he believes that Elaine is going to hell, and he hasn’t done anything to try to change that fact. I’ll also be referring to this very funny and entertaining episode of This American Life, in which a writer tells her story about a devastating break-up, and how Phil Collins helped her through it. 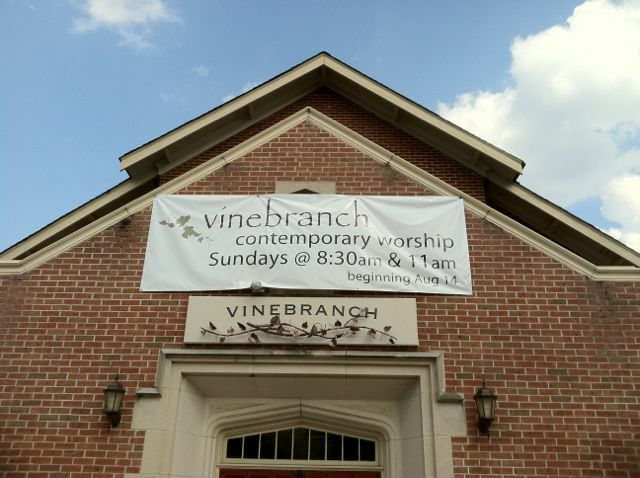 Don't forget Vinebranch is at two times now: 8:30 and 11:00. Come early, come often. After agonizing over how to finish off our 12-week sermon series on Romans (understanding, of course, that we could take a year and not finish Paul’s letter), I’m relieved to have a new plan. My original plan—to cover a little of chapter 9, chapter 10, and chapter 12 (using the suggested Revised Common Lectionary readings)—doesn’t work for me anymore. By which I mean it wouldn’t work for the congregation. Romans 9-11, which is virtually ignored in mainline Protestant churches, raises too many challenging questions to breeze by it. So, this Sunday, I’m covering Romans 9:1-5, and talking about the difficult question that Paul raises: What about ethnic Jews who aren’t Christians? I know what we all want to say about our Jewish friends: Our differences don’t really matter. The Jews have one perfectly good covenant with God, and we Christians have another. And I would want to say that, too, if I believed it were in the vicinity of what Paul has been arguing for eight chapters of Romans, or what he focuses on in particular in chapters 9-11. But it’s not. And since, as a good Methodist, I am prima scriptura, I want to be faithful to the Bible more than anything. So this Sunday, I’m talking about the problem of unbelieving Israel in the context of Romans 9, but I’m going to challenge the congregation to think more broadly about the problem: Do we really believe that what God accomplished in Jesus Christ through his life, death, and resurrection is for the whole world—indeed, for all creation—or is it only for the billion or so people in the world who call themselves Christians? In Romans 9:1-5, Paul expresses great anguish for “his people,” ethnic Jews who don’t know the saving love of God in Christ. Do we, among our circle of friends and family, have that same passionate concern for our people, whoever they may be? If so, how is it reflected in our actions? So that’s “Tough Text #1,” and it’s this Sunday. Next Sunday, August 28, I’ll be dealing with another troublesome question raised by Paul in both Romans 8 and 9, that prickly word (and concept of) “predestination.” This sermon will be more topical, but I will focus on those passages from Romans that are used as proof-texts for important tenants of Calvinism. Don’t worry. I’m not going to get in the nitpicky details of Calvinism, but I do want to rescue these Romans passages from the hyper-Calvinists. What is Paul really saying in context and what does it mean for us today? Avoiding the issue seems irresponsible. If we Methodists—whose founder, after all, was an outspoken opponent of Calvinism—fail to talk about it, our people will only hear popular preachers and teachers in the media talk about it, and what they say often contradicts what we believe. Finally, on September 4 and 11, I’m going to preach about a religious issue that’s been in the news recently: heaven, hell, who goes there, and why. 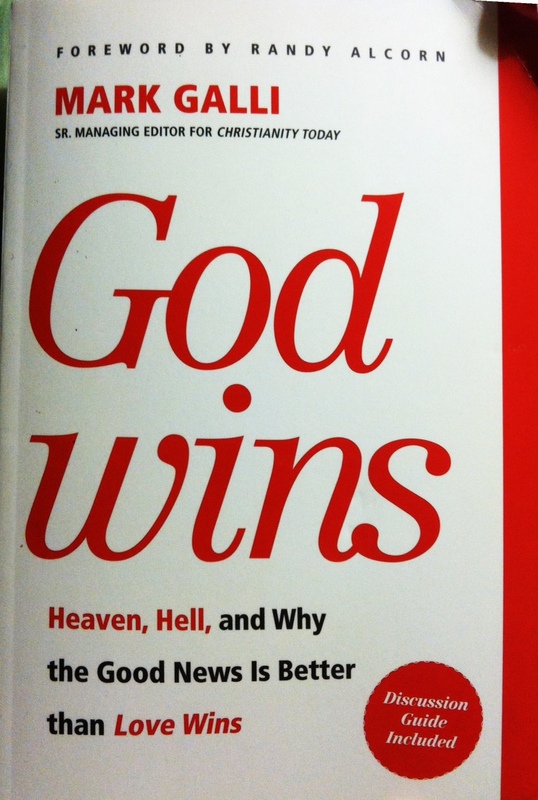 I’ve read Rob Bell’s controversial new book, Love Wins, and some of the book’s critics. I’ll bring that into the discussion. But do I also have to read that best-seller about the little boy who goes to heaven and comes back to talk about it? Maybe… Ugh! S.K. makes me weep! He makes me think, “This is exactly what my heart would express if I had the facility to express it.” Fortunately, he does. † Soren Kierkegaard, For Self-Examination/Judge For Yourself! (Princeton: Princeton, 1990), 13-14.